The villa and room were both fantastic and the individual bungalow style is unique. 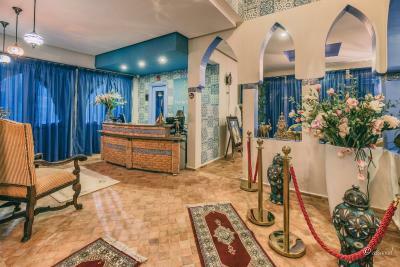 The staff were very friendly and helpful and in particular the staff member at reception, Dawood, was extremely welcoming and ensured our stay was .as enjoyable as possible I would strongly recommend this hotel and would definitely stay here again. The hotel is beautiful. The pool water was very clean and you find some peace in the pool. The deco in the hotel is lovely. 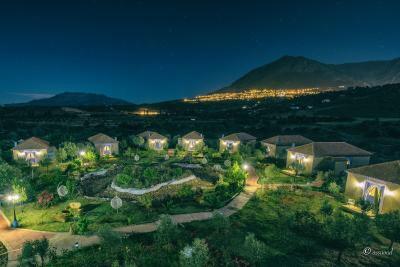 Very nice views with Chefchaouen on one side and a forrest on the other. The owner Rim (think thats how you spell her name) was very attentive and helpful, she is a great host. If you have a car the hotel has secure parking inside their compound. Will certainly return to this hotel. The Bungalow was very clean and spacious. The bed is so big and comfortable. The Resort is so beautiful and the sightseeing is breathtaking. Staff are amazing and Rim (Mamager/Receptionist) is so friendly and helpful. Swimming pool area is so relaxing and beautiful. Everything from staff to service. Just a perfect paradise. 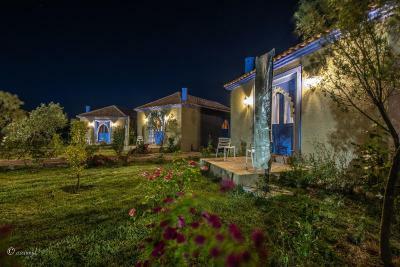 Amazing scenic location Bungalows are spacious with fantastic views. 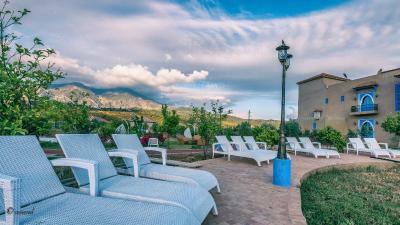 Outdoor swimming pool is good Quiet relaxing location. Hotel has been decorated and furnished in good taste. 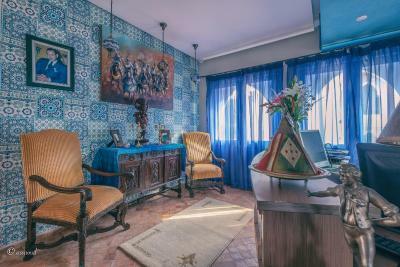 El personal, tanto de recepción, como del restaurante. Set in Chefchaouene, 7.5 miles from Khandak Semmar, Dar Ba Sidi & Spa features accommodation with a seasonal outdoor swimming pool. 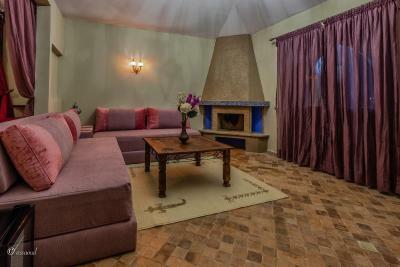 Featuring a shared lounge, this property also provides guests with a terrace. 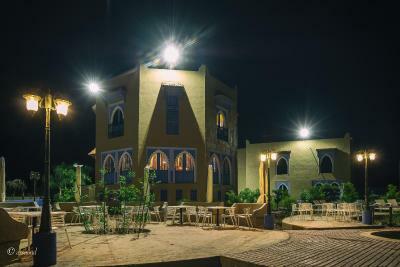 The inn provides a Moroccan restaurant. All units in the inn are equipped with a flat-screen TV. 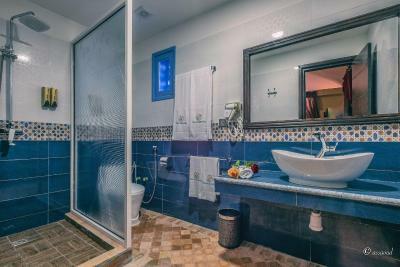 The rooms include a private bathroom and free toiletries, and certain units at Dar Ba Sidi & Spa have a balcony. Guest rooms have a desk. 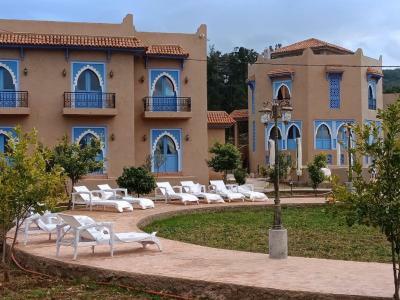 Mohammed 5 Square is 7.5 miles from Dar Ba Sidi & Spa, while Kasba is 8.1 miles from the property. 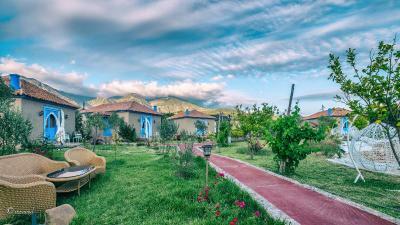 The nearest airport is Sania Ramel Airport, 41.6 miles from the inn. 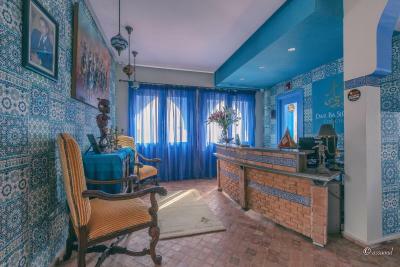 Dar Ba Sidi & Spa has been welcoming Booking.com guests since 5 Jun 2018. 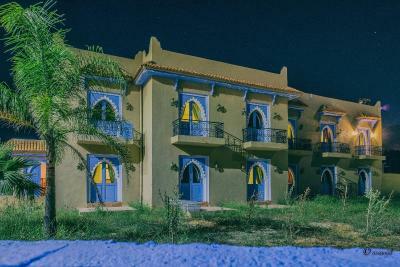 When would you like to stay at Dar Ba Sidi & Spa? 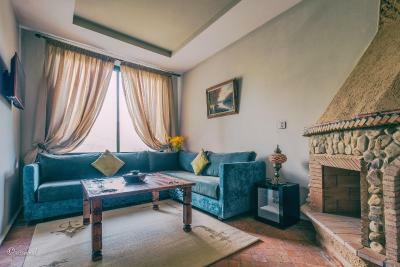 This bungalow features a seating area, air conditioning and flat-screen TV. 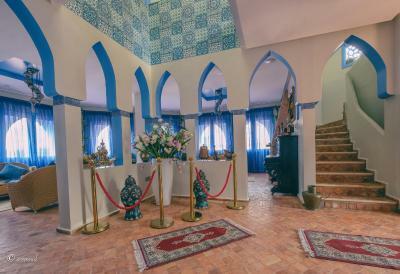 House rules Dar Ba Sidi & Spa takes special requests - add in the next step! Dar Ba Sidi &amp; Spa accepts these cards and reserves the right to temporarily hold an amount prior to arrival. Dar Ba Sidi & Spa accepts these cards and reserves the right to temporarily hold an amount prior to arrival. I would not recommend in the winter months as it is freezing. Not enough heating and not suitable for babies. wifi cannot be poorer. small room. swimming poor is not that clean. and breakfast is nothing to eat. The wifi could have been better, as in our room the signal was not too great, but you dont go on holiday to be on the internet ! 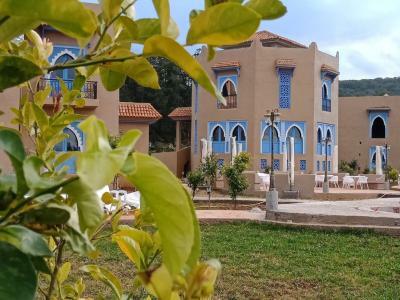 You do need a car (or taxi) to go to Chefchaouen, but you choose this hotel for the peace and to relax, so not really a fault. We had to change rooms 3x during a one night stay due to severe sewage smell, leaking pipes in the bathroom and an AC from which water dripped onto the bed. In the last room sewage was leaking from the toilet. Their was no WIFI connection in the room, we were told that a technician from Casablance would come and fix it straight away ( Casablance is roughly 5 hours away by car). The distance to the city of Chefchaouen is not 4,7 Km. By car it takes around 15 -20 minutes to go to the Medina. The manager was extremely rude and impolite and basically told us to shut up and pay (other customers don't complain so your complaint is nonsense). Suddenly she couldn't speak any English. 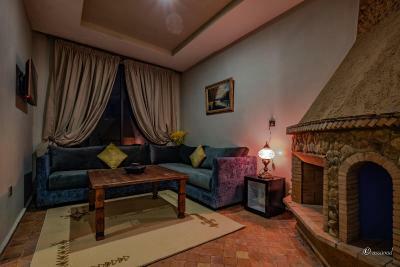 The property is not a Riad, it is an hotel which has not been completed. 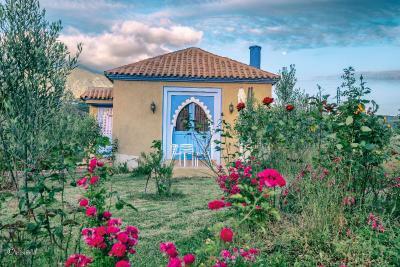 Building waste is lying around in the garden and in general the property is dirty and smelly The interior design is terrible, plastic flowers everywhere, the tiles are partly wallpaper. Price/Value relation is a joke. Frankly speaking we have never been to a poorer hotel and we would strongly recommend other potential customers to avoid this property. We wouldn't be going back even if we were offered money to stay. The spa has not been completed so is not open dispite paying a premium price. No kettle/coffee in the rooms, no indoor pool. Wi-Fi signal poor. No visa/MasterCard payments available, was asked to pay in cash which was inconvenient. No Complimentary water in rooms. No complimentary tolitries. Premium price for average service. Poor soundproofing in rooms. Expensive average food. No air in bungalow. We was too late for breakfeast and when asked if we could have something was told No. Considering the hotel didn't have many guests they could of at least offered some tea and bread.